The film, which is currently untitled, will be set against the backdrop of Austin's famous music scene and star Christian Bale, Michael Fassbender, Natalie Portman, Ryan Gosling and Cate Blanchett amongst other famous actors. A cast like that is surely going to draw attention to Austin in a big way. Even those who are not interested in the film will find plenty to interest them in this vibrant city. As highlighted in Terrence Malick's new film, Austin has a world famous music scene. So much so, that it is often referred to as the 'live music capital of the world'. With a huge number of music venues around the city and a collection of popular music festivals, it is easy to see why it has been given this title. Singer Janice Joplin and guitar legend Stevie Ray Vaughan were both famous members of the Austin music scene. Austin is not all about music though. 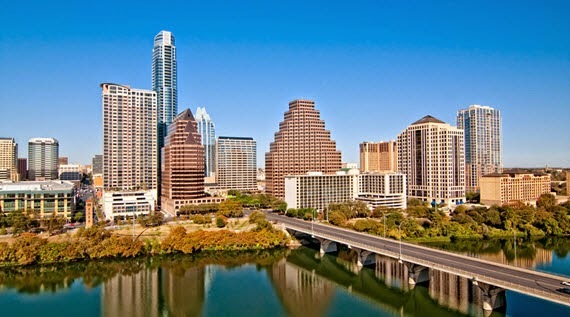 It is also a very picturesque city and one of the best ways for visitors to see it is by using the Lady Bird Lake Hike and Bike Trail which makes the most of the lush scenery and views of the city skyline. 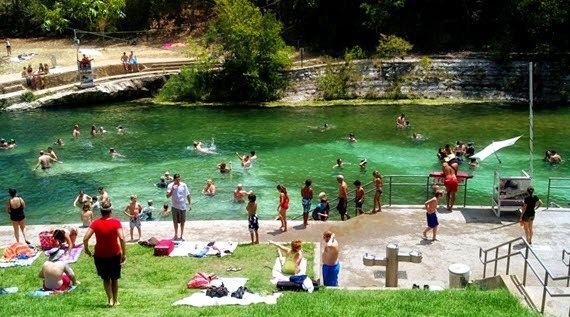 Another natural feature of the city is the Barton Springs Pool which is warm spring fed pool that tourists and locals can bathe in. There are also some interesting man-made features of the city too. One of those is the 'Circuit of the Americas', the first purpose built Formula 1 Grand Prix facility in the USA. Older constructions include Texas's last true dance hall, the Broken Spoke, and some very grand 19th century architecture in the form of the Driskill Hotel and the Capitol Building. The combination of interesting buildings, beautiful natural scenery, lively night life (particularly involving music) and a variety of activities to ensure no one gets bored makes Austin an excellent holiday choice for anyone who likes to explore 'lesser-trodden paths'.